Pixar really know their audience. When they released Toy Story 3, many of the people who were the right age for the first film’s target audience (around my age) were either about to go to University or were there already. A few years later, Pixar gave us Monsters Inc, and with Monsters University, have followed it up – again – with a story that many of the original audience can connect and relate to, as well as embracing new, younger audiences. Monsters University expands on the universe we saw in the original. 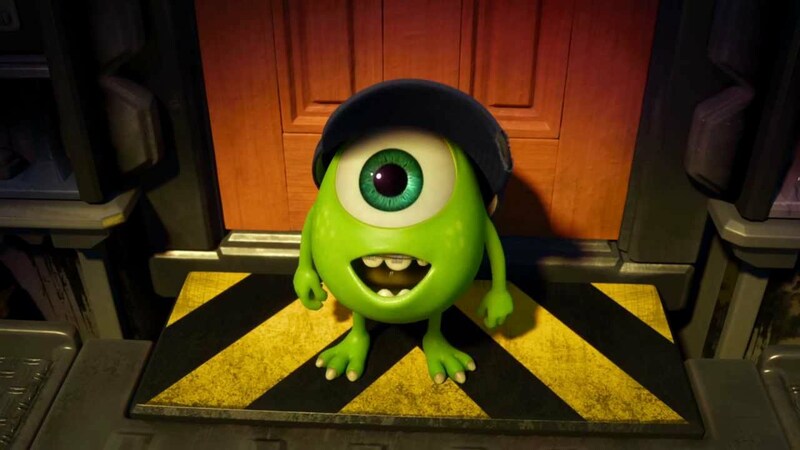 It starts with a little monster named Mike, as he goes on a class trip to Monsters Inc. There, they witness how the power of screams is harnessed, and Mike sneaks through a door and into the human world. After the trip, he has only one wish for his life. To become a scarer. The only problem is that Mike is not scary. 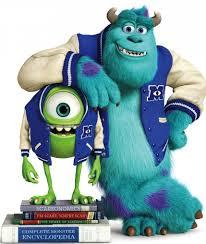 But he is determined, and goes off to Monsters University, becoming a Scare Major. He is the stereotypical nerd, using book smarts and knowledge to push himself in his course. There, he meets Sulley, a monster whose family are well-known as scarers. Sulley walks into the class late, acts like he owns the place, and gets by on looks and pure talent. Until a mishap between the two means they are spotted by the dean, who kicks them both off the course. Mike sets about finding a group to enlist in Scare Games, joining a fraternity of very non-scary monsters, the only one he can find. But they are denied entry for being one team member short, and Sulley, seeing his chance, joins up with them. Of course, there are disagreements and arguments and eventually, they all come to accept one another and progress through the games, with a mixture of Sulley’s natural talent and Mike’s book smarts. Okay, so the nerd and jock joining together to do well is not a new story. But this is Pixar we’re talking about, and they are good at taking cliché ideas and making them new. Just look at the Toy Story films. On the surface, there’s not a whole lot particularly unique about them. But the films themselves are brilliant, witty and have a great way of impacting on both children and other generations. Toy Story, Monsters Inc and Bug’s Life, to me, were all amazing, and make up a strong part of my childhood. I remember being super excited for Toy Story 2, and even at an age where I am technically an adult, I practically jumped for joy when I heard about Toy Story 3, and looked forward very eagerly to Monsters University. Happily, I was not disappointed. The humour, as it is a kid’s film, is a little simple in some places, though there are some brilliant moments that feel almost slipped in for the adults, and the jokes throughout remain strong whatever age you are. It’s fun to see the budding relationship between Mike and Sulley, and to see how they go from enemies to friends, and even a little bit of how they progress through Monsters Inc itself, bringing us to the starting point of the first film. I have to admit, the ending left me a little conflicted. It’s a kid’s film, which usually means stories of following your dreams no matter the odds, overcoming obstacles, succeeding because you’re so damn unique. Monsters University takes a different route. Instead of Mike and Sulley overcoming all the odds, we see Sulley cheating so Mike can feel he’s a proper scarer, and Mike trying to prove himself by breaking the rules and putting everyone in danger. As such, they get kicked out of the University itself. Mike, as we know, doesn’t become a scarer, but he does put the skills he’s learnt to use, and helps Sulley do what he cannot. In a way, they don’t succeed, and yet…they still prove themselves. They have forged a lifelong friendship, have grown as characters, and there’s the feeling that, even if you can’t be the best at what you want to do, you can be the best in another way. And really, isn’t that a better lesson to teach kids? More realistic, more down to earth. That you may not always reach your dreams, but that other dreams do come and just because something doesn’t work out doesn’t mean you have to give up. 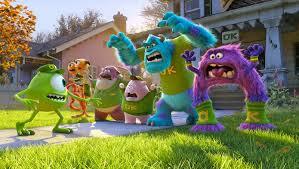 Monsters University is a fitting sequel to the original film, one that will appeal to everyone, whether they grew up with Monsters Inc or have never even seen the film. More importantly, I’d strongly recommend this to anyone who did watch the first film when it came out. To me, it’s a great reminder of what Pixar meant to me as a kid, and who doesn’t want to connect to their childhood self, at least once in a while?